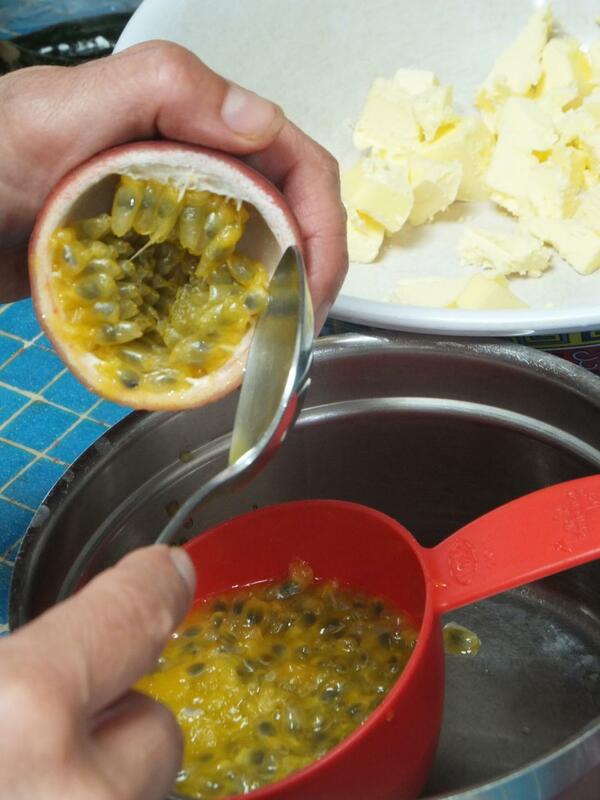 Prepare Passionfruit syrup by placing passionfruit, sugar and water into a small pan. Bring to a boil and then simmer for 10-15 minutes. Set aside. For the cake mix the butter or oil with the sugar and vanilla until well blended. Then add all other ingredients. Mix well. Pour into a greased cake form and back for 35 minutes or until a skewer comes out clean. Remove cake from the baking pan, spike cake all over with a skewer and drizzle cake with the syrup.